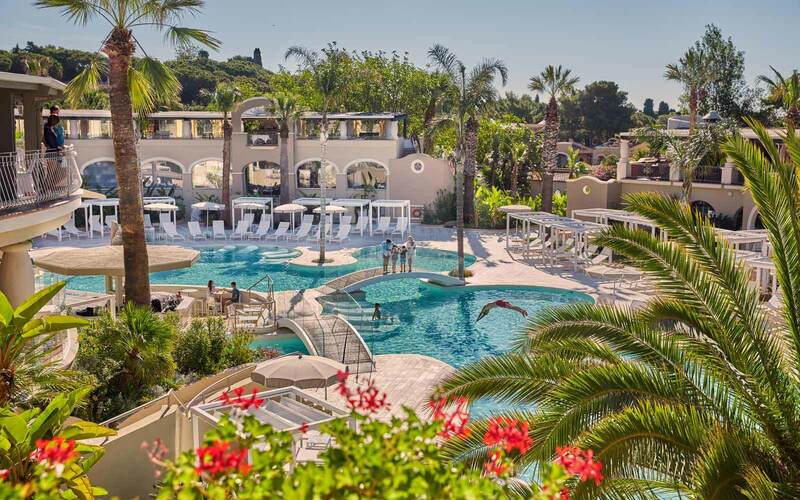 Set in beautiful mature gardens, the new Hotel Bouganville is surrounded by flowers and the lush green macchia of the Mediterranean. 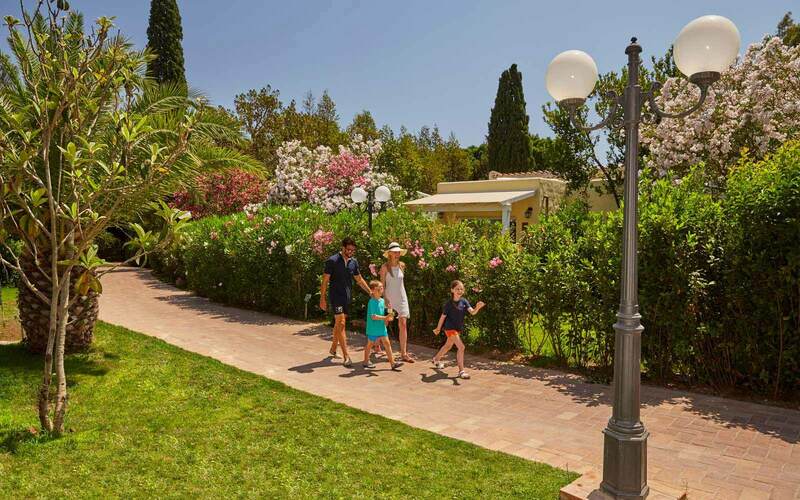 Ideal for families, the hotel is located in the heart of the resort, just a few minutes’ walk from the beach and a step from the main pools, restaurants, entertainment and exclusive shops that surround the piazza. Guests have a choice of many types of bungalow, all spacious and equipped with every comfort. Some bungalows are of the new generation, others completely renovated. 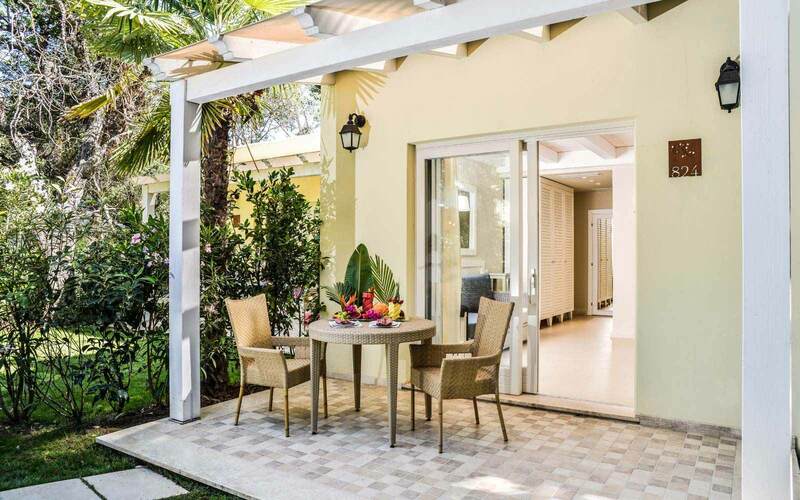 Each bungalow is extremely airy and has an elegant patio. Some bungalows can be connected to the adjacent bungalow. Special decor for children’s bedrooms is available on request at an extra charge, themes include Barbie. Breakfast for the Bouganville is served on the Oasis Pool Terrace, or with a supplement at the Bellavista or the Cavalieri restaurants. Dinner is provided without reservation at the Pineta buffet restaurant (house wine is included at the Pineta), and the Forte Grill. Theme restaurants also available with advance booking and at no extra charge include the Brazilian, and Sardinian restaurants. Gourmet à la carte restaurants need a reservation and supplements apply. 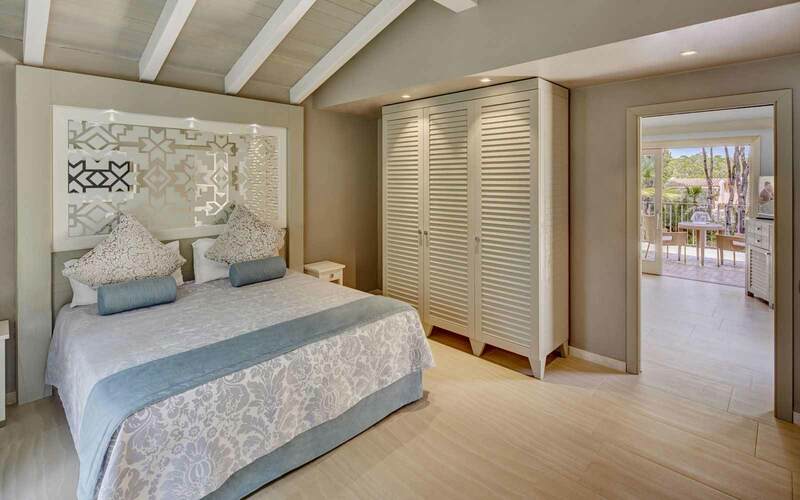 133 bungalows, new renovated with elegant style and equipped with every comfort. Deluxe Family Bungalow: 35 sqm. They are divided into two rooms separated by a sliding door: a double bedroom and bathroom with bath tub and shower; then a living room with sofa which is convertible into two beds, or which can be replaced by two beds. Relax outdoor area on the private patio. Ideal for families with two children under the age of 13 years. Deluxe Family Plus Bungalow: 44-49 sqm. They are divided into two connecting rooms separated by a sliding door. One room has twin beds or a double bed (additional bed on request). The adjacent children’s room has 2 beds in an ‘L’ shape. Both rooms have a bathroom, one room has bath tub and shower, the other room a shower, and independent entrance and patio. Ideal for families of four or five people with children under 13 years. Luxury Family Bungalow: 44 sqm. 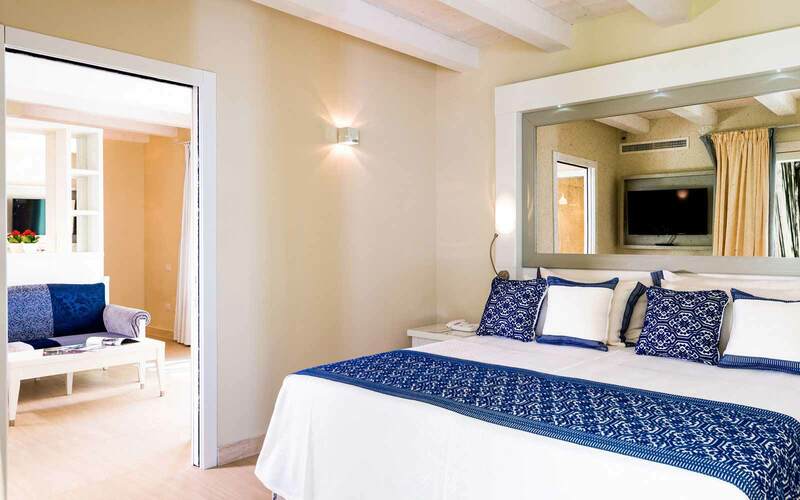 They are divided into two rooms separated by a sliding door: a double bedroom and bathroom with bath tub and shower; then a living room with sofa which is convertible into two beds (twin beds on request). Relax outdoor area on the private patio. Ideal for families of four or five with up to three children under the age of 13 years. Deluxe Family Play Garden Bungalow: 31 sqm. 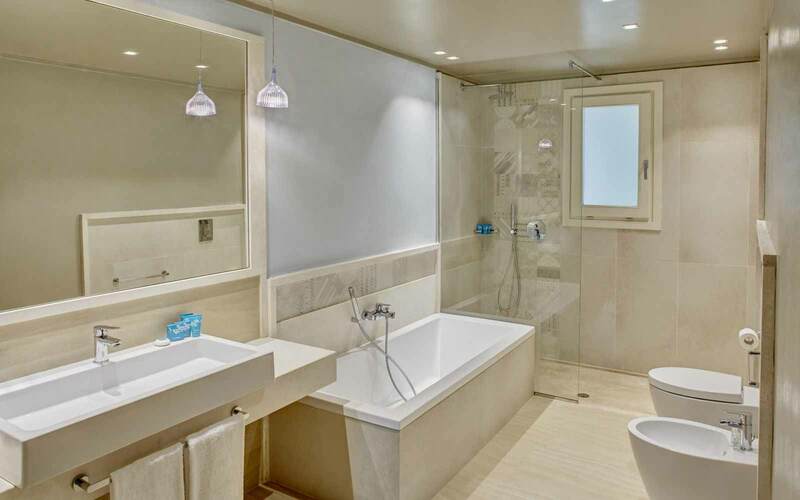 It is composed of two separate spaces: the master bedroom and bathroom with bath tub and shower, plus a living room with a sofa convertible into two beds. The bungalow overlooks a private garden equipped with children's toys and surrounded by a wooden fence. A quiet corner, ideal for families with young children. All the bungalows are equipped with bathroom with shower (most with bathtub and shower), air conditioning, telephone, LCD TV, minibar and a safe. 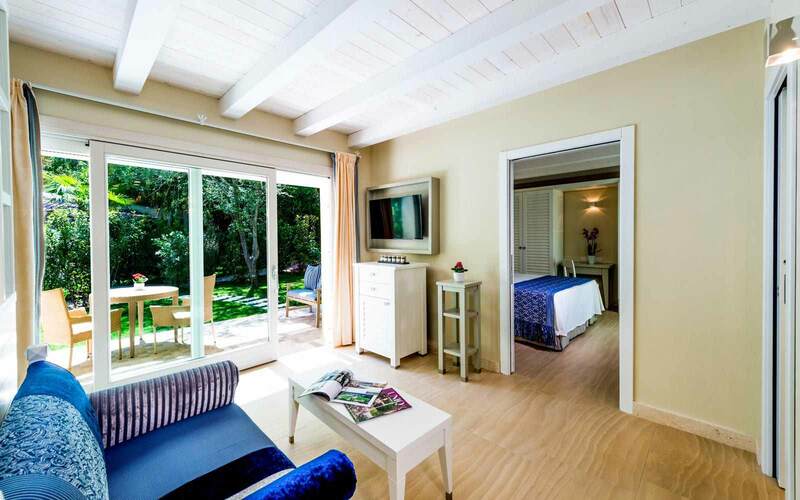 The Forte Village has excellent facilities for all ages. 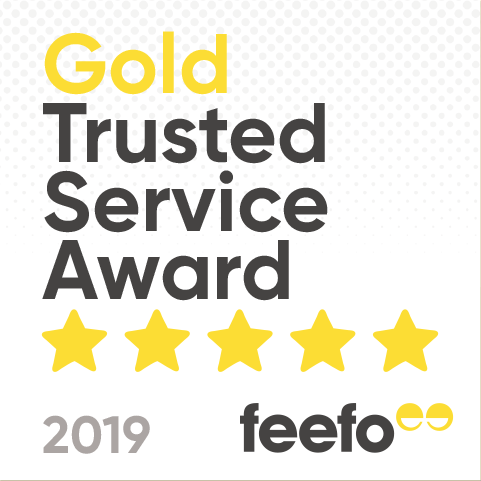 Wonderful food and exemplary staff. The holiday to Forte Village, was fabulous - exceeded expectations. 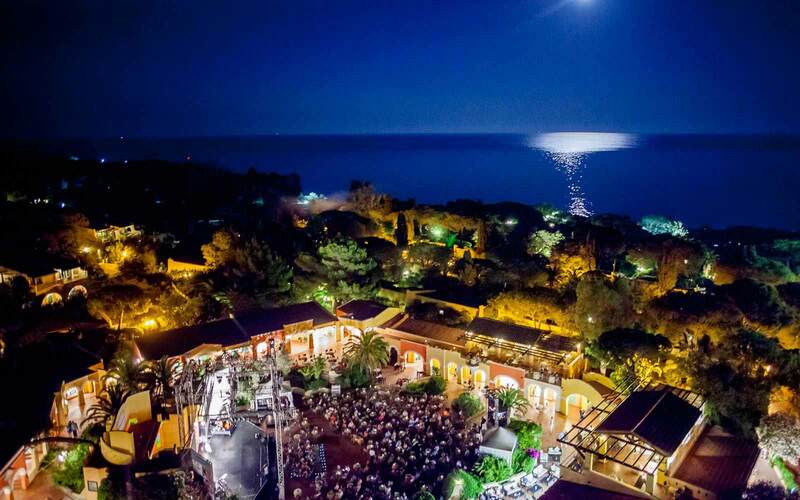 We love Forte Village. We have been 4 times now and I hope we go again next year. 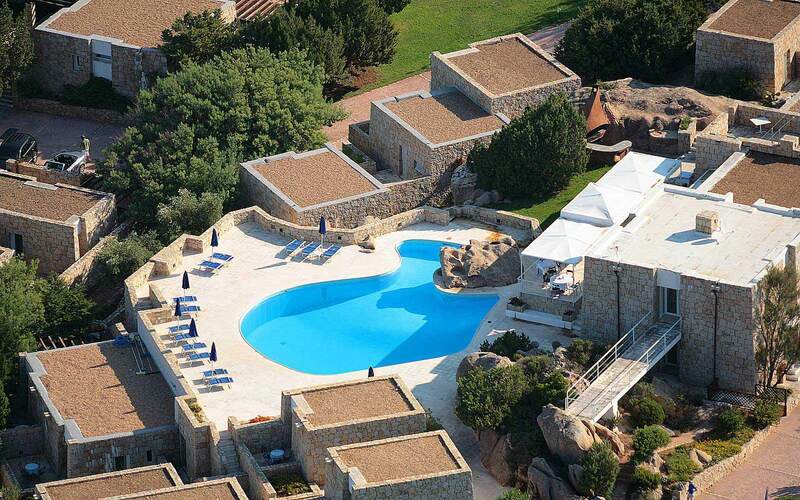 A perfect holiday destination, lovely staff, beach, restaurants, swimming pools and kids club. 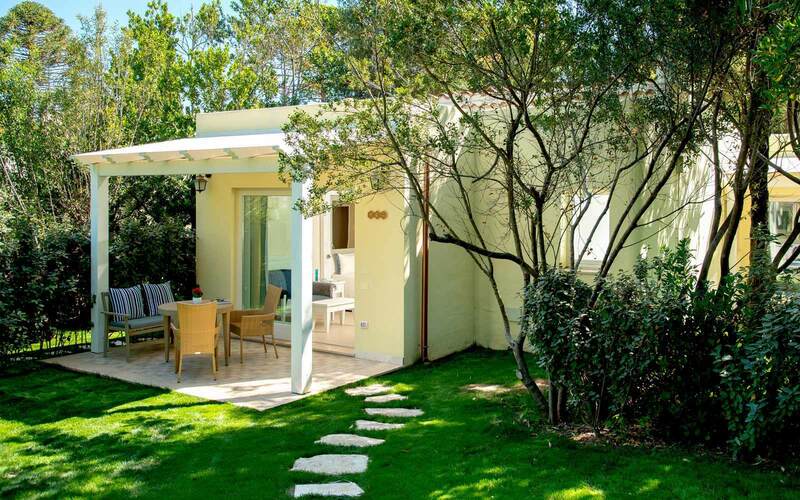 Forte village has a perfect location, with a lovely sandy beach with clear blue sea. It has an idyllic backdrop of mountains behind it and the weather was spot on. My family stayed in Bougainville for two weeks at the end of July. 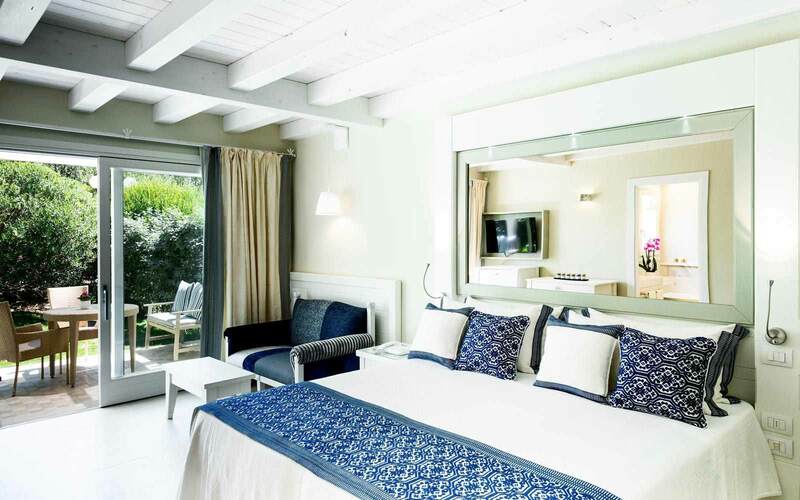 VIP treatment with a bottle of sparkling wine and a basket of fruit, one a la carte meal, one complimentary meal in one of the Gourmet Restaurants per person per stay, unlimited complimentary entrance to the Acquaforte Spa. Cumulative with Early Booking Discount only.